With the long cold winter finally behind us and the snow starting to recede, Jeep Wrangler owners can finally begin to think about spring driving. There’s nothing better than getting behind the wheel of your custom Jeep Wrangler with the top down and the feeling of that first cool spring breeze on your face. Besides, it’s spring-cleaning time and that applies to not just your home but your Jeep vehicle, too. Here are some tips to get your Jeep Wrangler in top condition for the spring. First, you’ll want to grab your hose and bucket and wash the underbody of your Jeep Wrangler. Make sure you eliminate that New Hampshire mud from underneath as well as any other winter grime or road salt that is sticking to your vehicle. This cleaning is imperative to ensuring that your Jeep Wrangler runs optimally but also helps to reduce possible erosion or the cost of purchasing new replacement parts. Take a good look at both your front and rear headlights. They’ve been subjected to winter’s harsh weather and need to be clean and bright rather than cloudy. Use a gentle but powerful glass cleaner to scrub them clean. After you’ve cleaned them, test them at different times of the day to make sure that your rear brake lights are clear and visible. You’ll also want to make sure that your front headlights are working correctly. Next, you’ll want to inspect your Jeep Wrangler for any worn parts. Here in New Hampshire, your four-wheeler has gone through a lot of different winter conditions, perhaps off-roading along snowy trails, crossing icy creeks, or taking your skis or snowboard to your favorite mountain. The external and interior parts of your Jeep might need to be replaced. It’s routine in the spring to replace your windshield wiper blades with a new working set. Check your rear plastic windows and splash guards to see if they need to be replaced and check if there are any other performance parts and suspension setups that you forgot to switch. On the interior of your Jeep Wrangler, take a look around to see if winter’s weather has damaged your seats, flooring, or cargo area. Mud, dust, sand, and sticky tree sap all contribute to interior damage. Take a look at your slush mats to see if they can be cleaned or replaced. You might also want to take advantage of this new season to freshen your interior cabin with new decorative Jeep Wrangler seat covers and floor mats. Pull-on and off seat covers are available in a variety of styles and materials. Plus they’ll add fun personality and protection to your vehicle. Once you’re sure that winter is behind you, it’s time to replace your Jeep Wrangler’s hard top for a soft top. This is one of the easiest jobs and most rewarding. Soft tops are summer-proofed outer shells that are made from strong durable Marine-grade materials, and give the owner a quick-release feature for ease-of-use. With the soft top in place, you’ll still be protected from the sun’s harsh rays, but can still enjoy plenty of fresh air. Some soft tops are designed to drastically reduce road noise within the cab of your Jeep Wrangler. These tops are lined with tightly woven acoustic padded inserts to absorb outside noise and allow the Jeep Wrangler driver to listen to their radio while enjoying open air driving. Another choice is a bikini soft top that offers strategic sun protection coverage for the driver and passenger. Soon your friends and family will be anxious to join you on a spring ride in your Jeep Wrangler. Even though they’re happy to be rolling through bumpy New Hampshire and Vermont mountain roads, you’ll want to ensure that they’re safe and happy in your vehicle. Look into purchasing side steps and grab handles. Side steps will help you and your precious passengers safely jump into and out of your vehicle without turning an ankle. Grab handles are a necessity for easy entry and exit as well as to keep everyone securely seated as you careen through the New Hampshire woods. However, remember that spring temperatures can fluctuate here in southern New Hampshire. One day you might have brilliant blue skies and warm southern breezes and the next day you might emerge to a chilly dark sky and rain in the forecast. To be prepared, purchase a classic full-zip hooded sweatshirt emblazoned with a Jeep logo across your chest. It will be light enough for an off-road jaunt yet keep you warm when the sun goes down. Perhaps you want to use part of your tax refund to upgrade your audio system. Check out some of the new amplifiers, subwoofers, and other sound packages that will provide premium music in your Jeep Wrangler. You might also want to add a touchscreen navigation radio system with SIRIUS satellite radio and audio jack, Garmin navigation (N/A Voice Command), and SIRIUS travel link. Spring is also a good time of year to check your safety kits onboard your Jeep Wrangler. Take the time to assess your kits to see if any items are missing or if you need to purchase or replace particular items. The Roadside First Aid Kit is equipped with the basic items needed to assist you in those unexpected travel emergencies. Items are contained in a durable canvas bag that has extra room for stocking additional supplies. Or you can choose the Jeep® brand Trail Rated Kit that contains a tow strap, 2 D-rings, and a pair of gloves in a carrying bag with the Jeep logo. Finally, a must-have in any Jeep Wrangler is an emergency tire inflator kit, which includes a tire compressor and tire sealant canister assembled in a single unit. Now that you’ve given your Jeep Wrangler a thorough spring cleaning and a comprehensive review, it’s time to start planning that inaugural ride to kick off this year’s off-roading season. 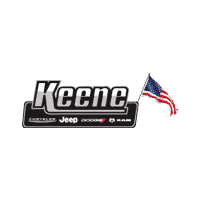 Start reviewing the Jeep Wrangler online forums to get some new ideas for where you can take your newly-cleaned and equipped vehicle.